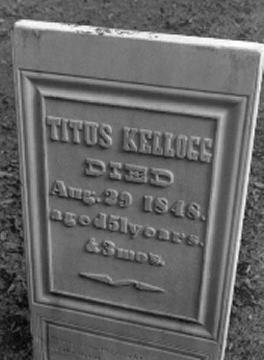 Titus Kellogg was born in Dorset, Vermont, June 3, 1797, the seventh generation of his family to born in the United States. His father was a carpenter and a joiner who died in Dorset in 1832. Titus resided in Chautauqua County, New York (in the southwestern New York, on Lake Erie, next to Pennsylvania) from 1816 to 1837. He married Lucy Fletcher in Ashville, NY on 7 February 1819. They had six children before they moved to what would become Bossier Parish, Louisiana. In 1837 four young women matriculated Oberlin College, Oberlin, Ohio, for the regular college course, the first four women to be admitted to a regular college course in the United States. One of these women was Mary Fletcher Kellogg, son of Lucy and Titus Kellogg. Three of the four graduated in 1841 and became the first women in America to receive A.B. degrees. Mary Fletcher Kellogg was the one who did not graduate-her father went bankrupt and moved the family to Northwest Louisiana in 1837. James Harris Fairchild was a teacher at Oberlin when Mary had to leave with her family. They evidently corresponded, and he resolved to visit her in Louisiana on her birthday in 1841, November 22. The trip took almost six weeks, but he made the appointment. The two were married in Minden, Louisiana, that same day, and she returned with him to Oberlin. Fairchild was a professor there, and became the third president of the College from 1866 to 1889. I've been able to track down a copy of the orginal typewritten manuscript by Fairchild, written almost fifty years later from notes he took at the time. On that journey, he met Professor Lyman Beecher and Professor Beecher's daughter Harriet Beecher Stowe. I regret that space considerations do not allow me to make it available on this website, but if you have an interest in seeing a copy of the manuscript, please don't hesitate to get in touch. Oberlin's reputation as a liberal institution was notorious in the days leading to the Civil War, as Fairchild alludes. His description of slaves is jarring to modern ears, especially to those who know Oberlin was a major Abolitionist institution, and early proponent of women's rights. Fairchild, however, opposed women's suffrage throughout his life. Titus Kellogg and his family show up on the 1830 Census as residing in Chautauqua. They apparently moved to Louisiana in 1837 or 1838, with their six children, all of whom had been born in Chautauqua. According to the Federal Bureau of Land Management, records show that approximately 400 acres of land were bought by the Kellogg family from the federal government October 1843 and April of 1844. The purchasers were Titus, (120 acres), his wife Lucy (120 acres), and their sons Charles and William (80 acres each). 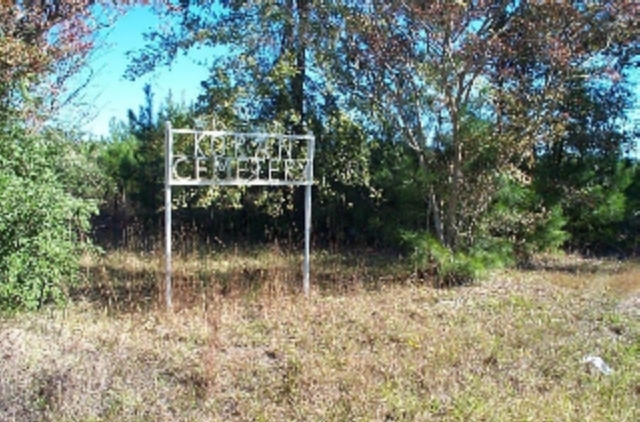 At the time of the purchase, this acreage was in Claiborne Parish, but Bossier Parish was incorporated shortly thereafter. His wife was the administrator of his estate (which probably means he died without a will, otherwise she would have been an "executrix" ). Between 17 Dec 1848 and 13 Apr 1849, various transfers of property were executed by Lucy. These are reflected in the Bossier Parish Conveyance Records, Book 1 Page 415, 17 Dec., 1848; Book 2 Page 28-29, 34-36, 38, 40-43. It should be noted that this property also included the sale of several slaves. Mary Fletcher b. 22 Nov. 1819. She married on 29 Nov. 1841 in Minden, LA, the Rev. 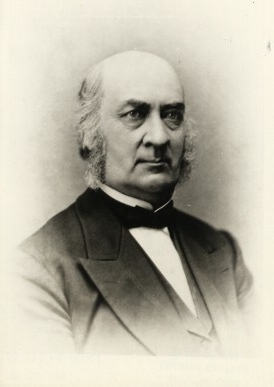 James Harris Fairfield; he was the president of Oberlin College, Ohio. William Edwin Kellogg, b. 20 May 1823, married June, 1853 to Julia Burge (brother of Charles Birge, who married Lucy Kellogg). He was one of the first Clerks of Court for Bossier Parish. He resided in Oberlin for a time before 1875, when he moved to Keokuk, where he died. They had no children. Mary Kellogg who married George Whipple Steele in Oberlin, Ohio 13 Nov. 1865; they had no children. William Manley Kellogg, b. Yazoo City, 26 Sept. 1859, m Cora Stowe Beach in Hartford, Ct. 26 June 1889; they had one daughter Louise Beach, and lived in Hartford, Ct.
George Martin Kellogg, b. 20 June 1827, m. 20 June 1867; had two daughters; George was a physician, graduated from Oberlin College about 1850, and from the Ohio Medical College of Cincinnati. At the outbreak of the Civil War, he was appointed a surgeon in the Union forces, and served throughout the war; resided in St. Paul after the war, then in Keokuk, Ia. Lucy Philanda Kellogg, b. 2 mar 1832; m. Charles P. Birge Dec. 1857. Charles became partners with her brother Charles Augustus in Keokuk; note that her brother William was married to her husband sister. But Hopkins' summary is wrong, and there is a lot more to be told. Charles Augustus Kellogg, Titus' son, is listed in the 1852 and 1855 New Orleans City Directories, but left before the Civil War broke out. His sister, Marcia Louisa Kellogg and her husband Alfred Augustus Kellogg, remained in the South during the Civil War. Charles' brother, George Martin Kellogg, became a physician. What is particularly fascinating is that although he had lived in Koran with his family, he became an officer in the Union Army and was among the Union troops that fought in Northwest Louisiana during the last days of the Civil War. An intriguing item from the New Orleans Daily Picayune, 11/18/1847 P2 C6, says that Charles Kellogg of New Orleans married Miss Margaret H. Todd, daughter of Robert S. Todd, Esq. In Lexington, KY. Robert Todd was also father of Mary Todd, who married Abraham Lincoln. After further research, it is clear that this Charles Kellogg was not Titus' son but rather Charles Henry Kellogg, who was a commission merchant in New Orleans, then moved to Cincinnati, Ohio. He was related to William Pitt Kellogg, however, who is covered in another portion of this document. Although Titus is buried in Koran, and Alfred Augustus Kellogg married Titus' daughter in Minden, there don't appear to be any direct descendants from Titus still in Louisiana. But it also seems clear that Titus' brother Hiram was the father of the head of the family that eventually moved to Red River Parish, LA.